The Ukrainian Government and Virgin could make a killing by carrying the remains of Rabbi Nachman to Jerusalem in time for Rosh Hashana. Only VIPs that pay good money can be allowed on the plane. The Ukrainian currency will go right up if you put for example the grave of Rabbi Nachman in Uman on the 5,- Hyrv. bill instead of the monster who is currently on it, or hey why not put President Petro Poroshenko and Richard Branson on it! the value will go RIGHT UP! 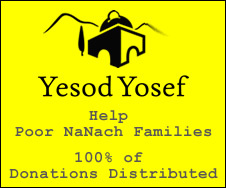 For more details on this important and serious project (facebook) Bring Rabbi Nachman to Jerusalem.